← IGNORANCE, THE HUMAN CONDITION. A good tune, and nice Rhymes, do not make a song True. Most astrologers claim that Jesus commenced the Pisces age and most people believe the Age of Aquarius commenced in the 1960s and 70s. However how can both these facts be true if ages are at least 2150 years in length? 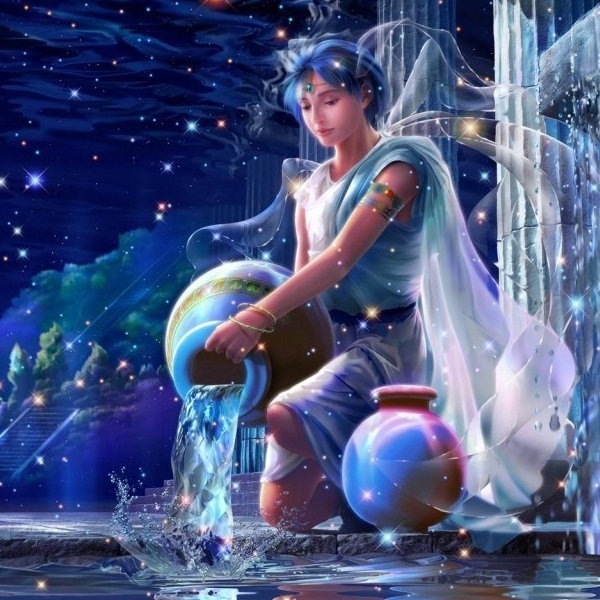 Most projections of what we can expect in the Age of Aquarius is a paradisaical age free from all the problems that have encumbered the world in recent millennia. Are your Aquarian friends perfect? Do they stand out as superior to the other 12 signs of the zodiac? Why should the Age of Aquarius be more positive than any other age? Astrologer Neil Spencer denounced the lyrics as “astrological gibberish”, noting that Jupiter aligns with Mars several times a year (which doesn’t make sense either, since Mars’ orbital year is 687 days) and the moon is in the 7th House for two hours every day. These lines are considered by many to be merely poetic license, though some people take them literally. In truth there seems little to be positive in our future, All we got to do is to listen, or watch the news, to put us in a somber mood. Good news stories don’t sell so this list is almost guaranteed to get next to no views. But, despite the deluge of bad news stories that hit us every day there is plenty to be positive about and we think it’s worth putting something out there that challenges the medias bad new bias. The Age of Aquarius is not going to save the world. The Age of Aquarius it may rise your consciousness, it may not. The future of the world depends upon the sum of all the people in the world. It is what all the people in the world do that will make things happen. 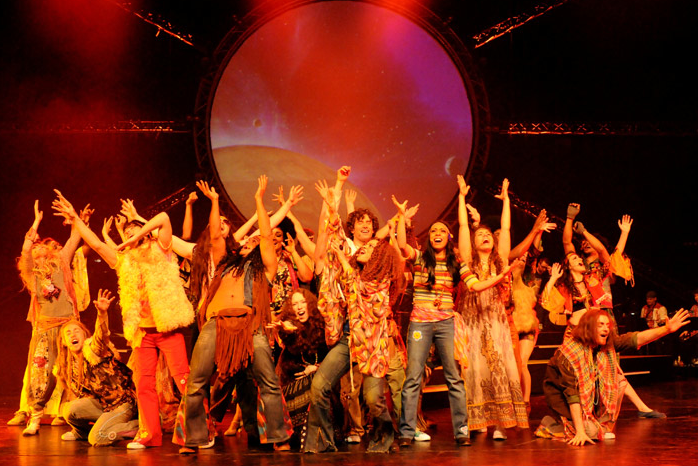 Judging by its track record to date, the problems and benefits in the Age of Aquarius will be much greater than previous. However, there is every reason to believe from the evidence provided by astrology that in this age of uncertainty, there is a much higher chance than normal that the world is heading for a mini-golden age associated with the Libra age-decan of the Age of Aquarius that will be firmly in place as the years, slowly but surely advance, hey I am old enough to remember the sixties! In astrology, a decan is the subdivision of an astrological sign (zodiac sign). … Each sign is allocated a triplicity, consisting of three of the four classical elements air, water, earth or fire, and is therefore subdivided into three equal parts of 10 degrees each; these parts are referred to as decans or decanates. And a man’s life it’s brief! Uranus had been observed on many occasions before its recognition as a planet, but it was generally mistaken for a star. Possibly the earliest known observation was by Hipparchos, who in 128 BC might have recorded it as a star for his star catalogue that was later incorporated into Ptolemy’s Almagest. ]The earliest definite sighting was in 1690, when John Flamsteed observed it at least six times, cataloguing it as 34 Tauri. The French astronomer Pierre Charles Le Monnier observed Uranus at least twelve times between 1750 and 1769,including on four consecutive nights. Sir William Herschel observed Uranus on 13 March 1781 from the garden of his house at 19 New King Street in Bath, Somerset, England (now the Herschel Museum of Astronomy), and initially reported it (on 26 April 1781) as a comet. Herschel “engaged in a series of observations on the parallax of the fixed stars”,using a telescope of his own design. Herschel recorded in his journal: “In the quartile near ζ Tauri … either [a] Nebulous star or perhaps a comet.” On 17 March he noted: “I looked for the Comet or Nebulous Star and found that it is a Comet, for it has changed its place.” When he presented his discovery to the Royal Society, he continued to assert that he had found a comet, but also implicitly compared it to a planet. Although Herschel continued to describe his new object as a comet, other astronomers had already begun to suspect otherwise. Finnish-Swedish astronomer Anders Johan Lexell, working in Russia, was the first to compute the orbit of the new object. Its nearly circular orbit led him to a conclusion that it was a planet rather than a comet. Berlin astronomer Johann Elert Bode described Herschel’s discovery as “a moving star that can be deemed a hitherto unknown planet-like object circulating beyond the orbit of Saturn”. Bode concluded that its near-circular orbit was more like a planet than a comet. This planet (as well Neptune and Pluto) are associated with the unseen aspects of life. Uranus’ domain is akin to that of future-forward Aquarius, the star sign that rules scientific inventions, electricity, innovation and technology. These are all things that require us to stretch beyond our vision and lean in to belief. For example, we might not be able to prove the Uranian, but we feel a certainty about its existence. Even the Internet—which is Uranus’ domain—is a form of virtual reality, if you think about it. In mythology, Uranus is known as Father Sky who bore children with Gaia, aka. Mother Earth. This is the planet that rules outer space and aeronautics and shows where we want to fly free—without restriction! (Gravity…what’s that?!) Given these liberated vibes, it’s no surprise that parenting did not come naturally to the Uranus of lore. Legend has it that Father Sky was cruel to his children, burying some in the earth and banishing others. Saturn, one of his sons, even castrated Uranus out of revenge, and Venus was born out of the sea, were Uranus testicles were tossed. What it’s there to be positive? Well, after unabated bad news, a bad economy, if you are not part of the infamous 1%, and I seriously doubt that, despite a total unenlightened political leadership, almost worldwide there it seems very few things you may feel worth to be happy to celebrate a New year. But I said we will end in a positive note, and that I will do! First we are still alive, second all the bad stuff hasn’t sip out my will to live and keep fighting, for whatever it’s just, and wise, regardless of the odds, and if you are reading this, right now you are probably in better shape I am, and I am willing yet to put a fight, hopefully, so do you! There are people like us all over the world. You can find your ‘family’ online. There is always a way. Always. If you haven’t find it , keep looking! We have been through a lot of hard times, and somehow we still standing, there’s no reason that if we keep the fight, things would go always the wrong way, finally our day of victory will come up, if you have not giving up, the fight it’s not over, period. God loves you no matter what! With that knowledge, there is always hope! There’s still Kindness, Joy, Grace, Love, and Mercy, go there find it, or give it out to someone, spread the good stuff. My best wishes to you all, you deserve a great New Year! 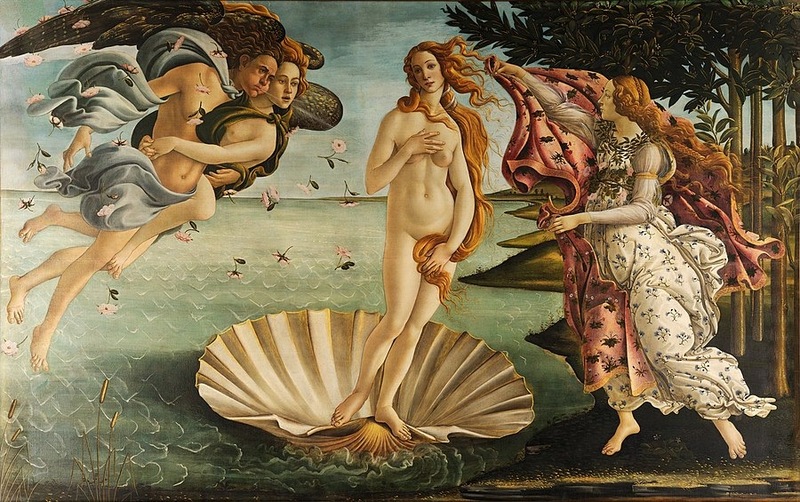 This entry was posted in Age of Aquarius, Astrology, Axial Precession, Consciousness, Cosmology, Counsciousness, Crisis of Values, Critical Thinking, Cultural Attitudes, Cynicism, Democracy, Determinism, Disillusion with Capitalism, Ecological Crisis, Economy, Education, End of materialism, Enlightenment, Environment, Future, Ganymede, Historical Evolution, New Age, New Values, Precession of the Equinoxes, Progress, Uncategorized and tagged 2018 a New Year, A bleak future, Astrology, Sir William Herschel, Spread the good stuff, The Age of Aquarius, Uranus. Bookmark the permalink. Absolutely, but it is not at all easy!! Well, I am aware of the novel, last year I talked to a guy who on my commute to work was reading it, however generally now day, do not have time to read Science fiction, novels, because I have so many other things to read. However wishing for an alien culture to fix our problems, it’s like asking to our neighbor to come and clean up our mess, at our house, not something very likely, you would ask from a neighbor, and something the neighbor would rather not do, and very likely to lead to further problems between the neighbors, if they interfere with each other! 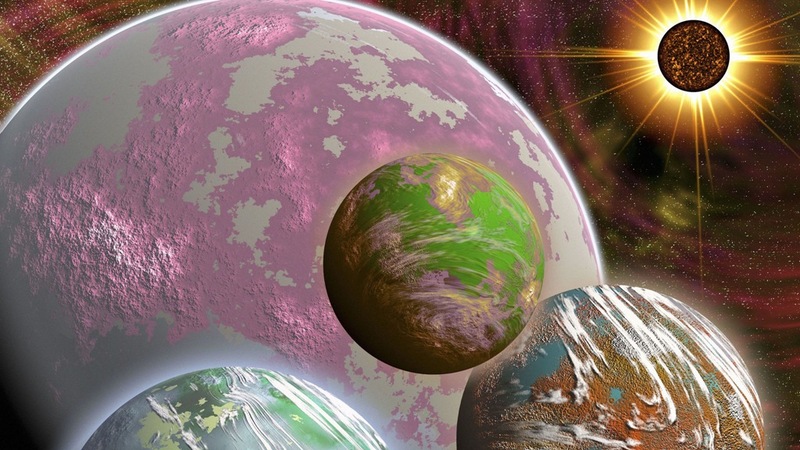 Now, the Universes are a big place and it’s very likely to be populated by other forms of life, but I do not believe anytime soon we will be in touch with any, due to the nature of light years involved in traveling. Intra-dimensional travel, that’s another story, but that is personal, and unique to each individual, more in the spiritual realm. I thank you very much for your original and apprecitated comparison concerning “The Three Body Problem”. I would, however, like to tell you that we have two neigbours, one 95 the other 93 years who still live on their own. Recently, we have had quite a lot of snow and had we (my husband and me) not cleaned their pathway to the letterbox, they could not even have reached the letterbox. It’s clear that we sometimes also bring them some food. In general, I have come to the conclusion that we should help each other much more in this way as our relatives seem to live on another planet!! A came across this book because in our reading group we are concentated on books about China and Chinese writers. Sun Shuyun, her book, Ten thousand miles without a cloud. 2. Thank you very much for your interesting proposal. I have now read a review on the Guardian and I didn’t know that during the cultural revolution 90% of China’s monks and nuns had either abandoned the monasteries or died of starvation. I have only read that the Christian missionaries hadn’t had much success in China! I will read the book, but it will take some time! Well, since many years ago I was acquainted with the story of Xuanzang, I even read the Journey to the West of Wu Cheng’en. But what I liked of Sun Shuyun book was her contemporary take on the story, and the fact of knowing since you are an experienced traveler, you probably would enjoy that part of the book where she traveled extensively, in order to document her research. Also the human story of her Grandmother it captures your heart. Excuse me, please, but I have only just seen your kind comment. To read about China and its history confronts one continuously with cruelties and greatness and to read about stories that touch your heart is like balsam. :) I had that feeling also with “The seventh day” by Yu Hua. Well, dear Martina, I am sure there’s a lot of things to criticize not only in China, but all around us, we always can find hidden dirt, and all kind of nasty tales, I rather like to look at life in a variety of lenses, but mostly pink, like the famous French song La vie en rose. In the book I am recommending you, she also talk about, some unpleasant things her family had to go through the Cultural Revolution, but there’s more to the book, and her story overall, and her pursues in the book it’s worth reading. This Yu Hua’s book, seems not the type of book I will rush to buy, mainly because reading about how bad things are in China, it’s not the kind of book that I care to spend my time with. Not that I do not care, but Right here at home, we have enough bad issues of our own, we got to deal with, since we have to suffer them, without having to worry about the many Chinese problems. Unfortunately, I am of the opinion that also “la vie en rose” (here with Edith Piaf) has two sides! I completely understand your not wanting to read the book mentioned, but I was very touched by the deep love between father and son. Everything has two sides, or many! In my case too much to read, and very little time, so I have to choose carefully what I want to read, and of course I favor those things that I need in my studies, and for pleasure those that I enjoy best, but I understand your point, and appreciate your comment. Thank you for such an uplifting message for the new year. Wishing you a 2018 filled with fascinating discoveries. 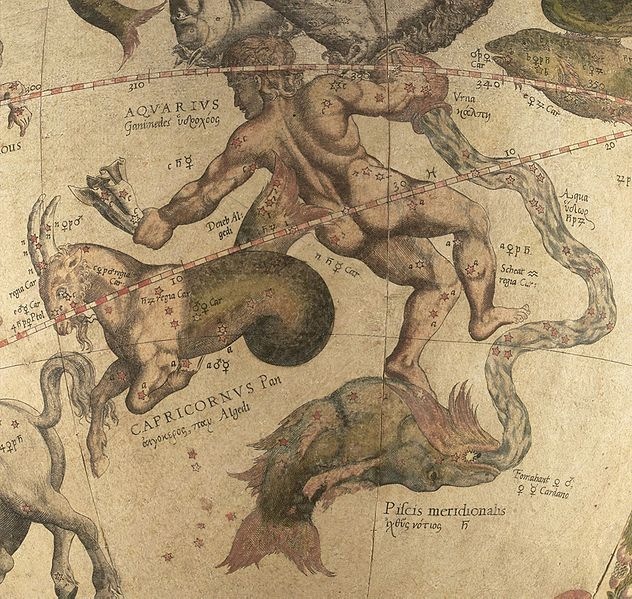 About the Gemini age, don’t hold your breath, according to some not until 17,210 years at least! Today by chance it’s the day of Epiphany the Twelfth Night, since Christmas, not everybody celebrate it, but in many countries it’s a most celebrated day, It is always celebrated on 6 January and commemorates the presentation of the infant Jesus to the Magi, or three wise men. In some countries, it may be known as ‘Three Kings Day’. Epiphany is derived from the Greek word ‘epiphaneia’ and means manifestation. In religious use, the term means the appearance of an invisible divine being in a visible form. In some countries it’s the day children receive the gifts, rather than on Christmas. Thank you Christy for your comment, by the way never cared too much about the 1%, democratically I prefer the 99%, and in this special day, like any other day of the year, we can be happy, and content, just by reason of living..
Wishing you an uplifting New Year and thank you for the positive message. It’s not that everybody wants to follow the bad news. We’ve gotten pretty much derailed. I believe that the globalization is a bad thing, hence, it directly makes problems bigger when they appear. While technological advances have their positive impact in many areas of our life, they also can destroy our life and make the normal sequence of events to profoundly change their normal nature. The prognosis of losing many jobs (very many) by 2030 would require completely new approach in order the humanity was able to feed itself. The extra high level of over-consumption is causing insane amounts of waste and garbage which threaten to bury us. Climate change is inevitable and I can see in the upcoming year more natural disasters and more harsh weather which might be less predictable than ever. Do not stars tell you that there are noticeable attempts to re-divide the influence zones on the Earth? The fight for power? It has become easier than ever to brainwash large masses of people. The corporate world and the messengers of hate are actively using that. Plus, despite that humans should have become very educated and smart by now, there is actually a decline in human cognitive abilities. I am not talking about exceptions. Devices take away the need to think, to remember and to decide. That will have a big impact. Nevertheless, we all hope for the best. I hope this is going to be a good year for you! I totally agree with what you express, and I see as you, very difficult a change of course Worldwide, that will be the only thing to do for dealing with so many problems. However it’s no secret that the powers that be, want business to run as usual, with little regard for the many people who will suffer the consequences, of their convenient shortsightedness, in order to keep profiting at our expense. And shamelessly they use the media, and whatever means in order to propagate the fallacy that things cannot be changed, and the inevitability of the future, they have in mind. This may be so, only if we the majority believe such thing, and seat and do nothing to prevent such doom scenario, I do not know what everybody else would do, but neither believe, most people will resign themselves to such fate, when water reach their neck, either you swim, and look for safe ground, and fight with all you have, or you contentedly , and obediently you drown without putting a fight. Many thanks for your visit to my own post which led me here to read your own amazing words. And you are right,the world has many souls who love, care and show compassion who are holding the lighter side of our world. We each of us are responsible for our thoughts, and actions, and only when we take that responsibility of changing ourselves, will we effect the world to change..
And should be mindful of how we are affecting those changes.. So often we hold judgement and point the fingers at others as to what is wrong with the world, when what we really should be doing is looking in the Mirror.. The world is only reflecting back at us what it is we have generated. It is a matter of We are the One’s we have been waiting for, no one will come and do it for us. The problem with the World it’s us, as you made it clear and totally agree, and it’s the problem of all of us, not only today, but of each generation, as I mentioned in the post previous to this one, since each generation. has to be educated properly, and we can’t slack on it, otherwise the entire World will suffer the cumulative effects of an ignorant populace. My pleasure 🙂 and Thank YOU. Well, I guess we are both from the sign of the Water bearer. You are right we have to make things happen, but auspicious moments also help. My first response when I saw the “sidewise” image of Uranus was I wonder if he realizes he posted it on its side…. then I realized, duh, there is no up, down or sidewise in space…. so that got me thinking about my own perspective on life. It all depends on your viewing point or point of view. I’m sure there is just as much good and bad in the world today as there always has been. Somehow personkind has always struggled through… not to take global warming lightly, and I do believe we are destroying our home before our very eyes… but I can also hope that before the clock strikes midnight enough people will wake up to take action. If we don’t, maybe we deserve to be invaded and destroyed by “aliens” before we spread our carelessness to other planets! Thanks for a thought-provoking post. Well, in fact you are wrongly, right, Uranus is tilted! 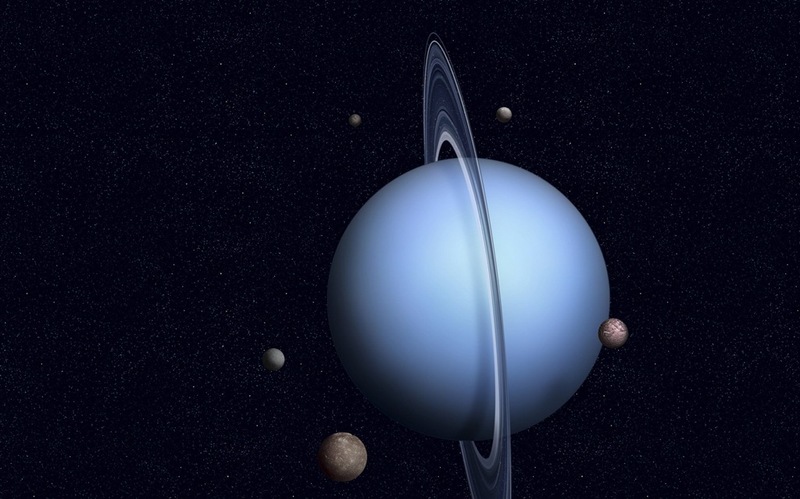 Uranus is tilted in relation to the other planets on the Solar System! Uranus has the coldest atmosphere of any of the planets in the solar system, even though it is not the most distant from the sun. That’s because Uranus has little to no internal heat to supplement the heat of the sun. The magnetic poles of most planets are typically lined up with the axis along which it rotates, but Uranus’ magnetic field is tilted, with its magnetic axis tipped over nearly 60 degrees from the planet’s axis of rotation. According to Norman F. Ness, et al., in an article in the journal Science in 1986, this leads to a strangely lopsided magnetic field for Uranus, with the strength of the field at the northern hemisphere’s surface being up to more than 10 times that of the strength at the southern hemisphere’s surface, affecting the formation of the auroras. A 2017 study suggested the lopsided nature of Uranus’ magnetic field may also lead it to flicker on and off every time the planet rotates (about every 17.24 hours). We also hope people wake up to the environmental damage, we are provoking, we will be the first to suffer the effects of the changes that are coming rapidly! Next post I will focus on a different angle on the same subject. Finding the positive aspects of life is an arduous task but sometimes we do not know that we have the solution in our hearts. Your reflection brings us closer not to lose the north. Excellent, as you always do in each entry of your blog.